The thought of rice usually elicits visions of Japanese sushi and the core starch of inexpensive Chinese food. But what about Korean booze? Though now there are even American vodkas made from rice, soju laid a claim on the grain’s boozy potential centuries ago. The so-called “Korean vodka” is the most popular alcohol in the world (and, yes, it does come in as many flavors as American vodka). According to Drinks International, Jinro Soju sold 71 million cases in 2014—more than any other liquor brand in the world. The low-alcohol spirit has been distilled in Korea for hundreds of years, usually from rice or other grains. From the 1960s to 1990s, however, using rice to distill soju was banned by the South Korean government because of a nationwide shortage—but people still had to drink. So soju distillers used sweet potatoes and other starches. Some sojus, like Chamisul, are still made from sweet potatoes. Starch or grain aside, soju’s the go-to booze for Korean celebrations. Chill it, pour it in a shot glass and sip away until the bottle is dry. Despite its popularity in Korea and some other Asian countries, soju has had a hard time catching on in the U.S., a country responsible for about five percent of soju’s global sales each year. Some say it tastes too much like cleaning solution for Americans to fully appreciate its potential. Sure, there may be touch of astringency to it, but soju also has a vaguely sweet, milky flavor that makes drinking an entire bottle—the way Koreans traditionally do—easy. It pairs well with food, too. In the past few years, though, an increasing number of bars without full liquor licenses have started using soju to make cocktails. Because its ABV typically falls between 16 and 45, much soju can technically be considered a rice wine—and able to bypass liquor licensing laws. Kitchen Story in San Francisco, for example, doesn’t let its lack of a full liquor license stop it from serving popular brunch drinks, swapping vodka for soju in its Bloody Mary. But the power of soju in the hands of bars that focus strictly on cocktails and have the opportunity to pair it with other spirits creates a much different drinking experience. Higher-proof sojus tend to hold up better in cocktails and can be used in place of vodka, gin and whiskey. Take New York bar Neta’s Amai Doku #2, for instance: It combines agave-based raicilla with soju, grapefruit juice and kumquat. Soju works as a base spirit substitute in many classic cocktails, like this Hwayo Negroni from New York bar Oiji. Though Soh of Oiji runs a Korean restaurant where you would expect to find a variety of soju cocktails, he’s using it in a rather unexpected way. Instead of crafting original recipes or serving soju in ways that are popular in the homeland, he is recreating classic recipes, using it in place of gin in the Hwayo Negroniand rye whiskey in the Hwayo Vieux Carré, both named for a popular soju brand. “When I started playing with soju and changing it with other alcohols like whiskey or vodka, it changed the characteristics slightly, but still maintained the more classic cocktail flavor,” says Soh, who advises that the ratio of soju to other ingredients often needs to be increased when using it in place of other spirits. Want to try making your own soju cocktails? 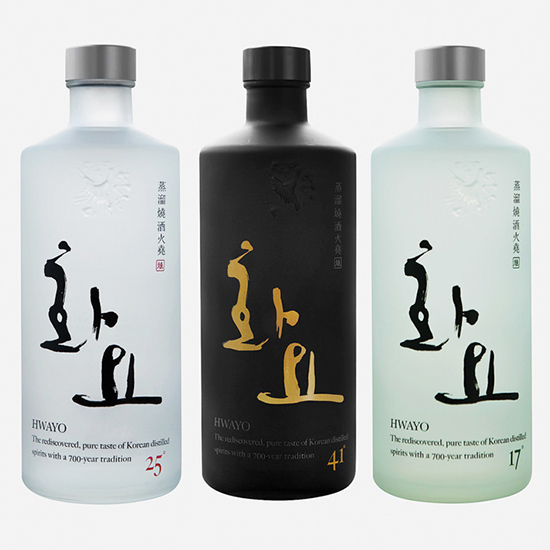 While the rice “vodka” isn’t nearly as easy to find in the U.S. as Japanese sake, a few brands are available online, including the popular Jinro (buy it here) and Hwayo (buy it here), both of which are distilled from the traditional rice. Perhaps there’s a soju Gimlet in your future?